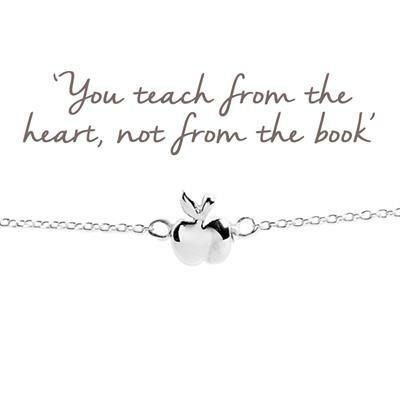 This fabulous bracelet from the Mantra collection features a 925 Sterling Silver apple. The apple is a traditional thank you gift for a fabulous teacher. We love this Silver version which will last forever.